We moved from our overnight parking spot to the National Trust parking at Dunwich Heath ready for a stroll around the heath. 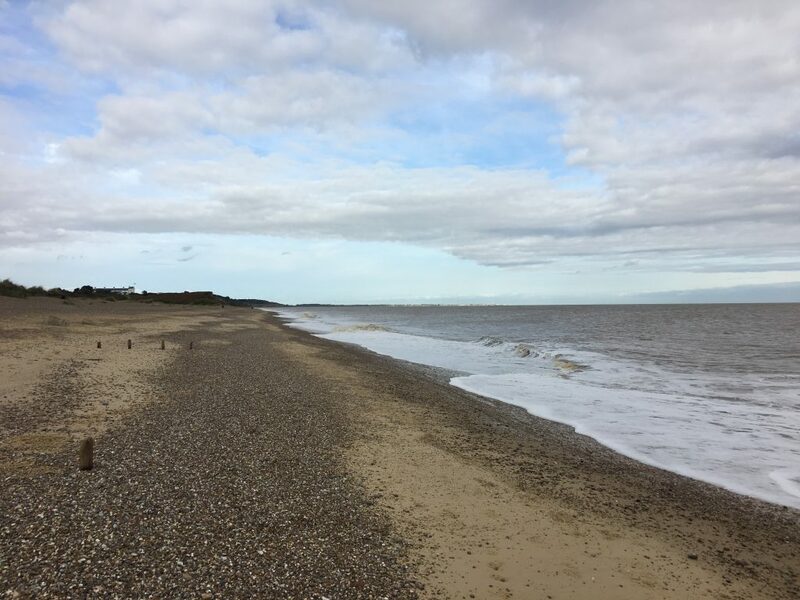 The heath to the north and inland was a little uninspiring in the subdued autumnal light so we extended our walk alongside Docwra’s Ditch and then across to RSPB Minsmere before heading back along the coast to the car park. 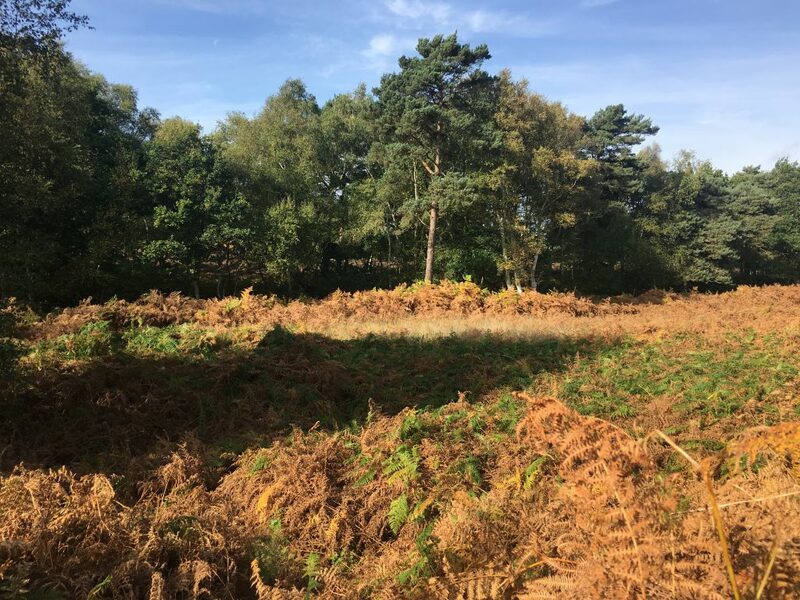 The landscape on the latter half of the walk was more interesting, we joked that Docwra had made a better attempt on his ditch than Offa – subsequent research seems to indicate that it’s a recent feature built as a firebreak, I have no idea why it specifically named after Docwra though. We stopped in a couple of the enormous and well appointed hides at Minsmere hoping for a sight of something interesting but the wind was keeping the birds away. We did see a hobby though as we walked through the wetlands. 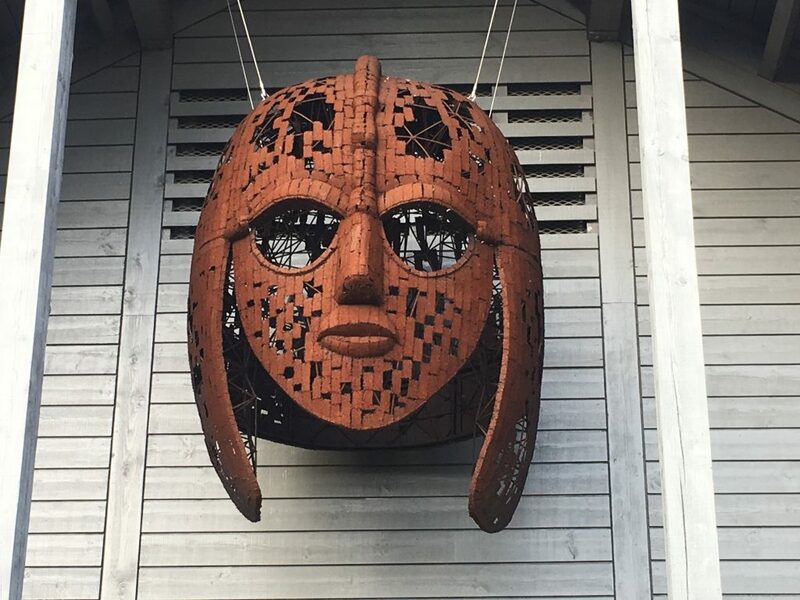 That afternoon we moved onto Sutton Hoo, the site where an Anglo-Saxon burial mound was excavated in the 1930s to reveal an amazing ship burial with it’s treasure intact, including the now iconic Sutton Hoo helmet. The exhibition contained a number of artefacts from various of the burial mounds at Sutton Hoo and replicas of the more substantial treasures which are now in the British Museum. I find this period of British history fascinating, probably because so little is known about it so it crosses the boundaries between history and myth. Also on the site is the house of Edith Pretty, the landowner who requested the excavation of the mound in the 1930s. 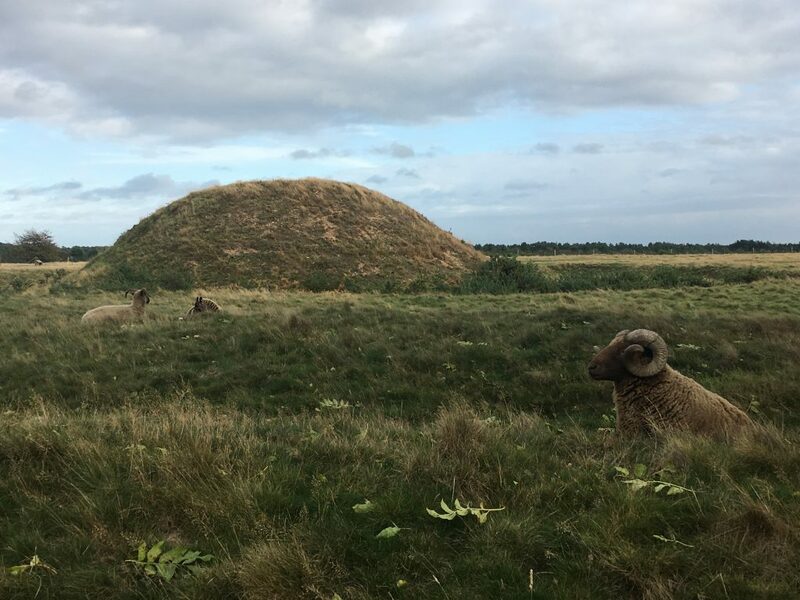 It contains the story of the excavation and in particular the race to complete the work once war was declared, much more interesting than I was expecting, and we took a short stroll around the mounds. It always makes me wonder now many treasures have not only been plundered by grave robbers but also just ploughed under by farmers or builders. 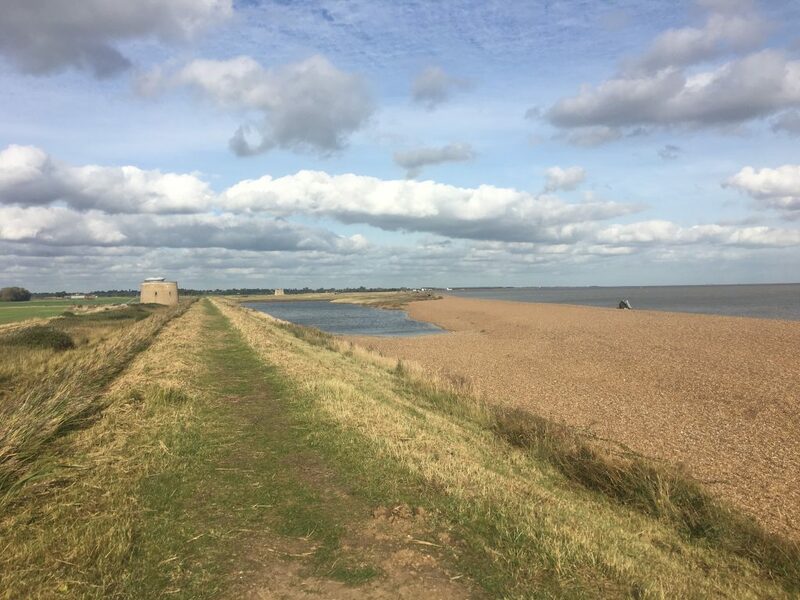 Our overnight spot was at some quiet parking on the coast at East Lane near Bawdsey. Sadly the radar station museum was still undergoing refurbishment – all part of the 100th anniversary work according to Aaron – but there was still an opportunity for a morning walk along the coast, so we set off past Shingle Street and along to the mouth of the Ore and it’s shingle spit before heading back. 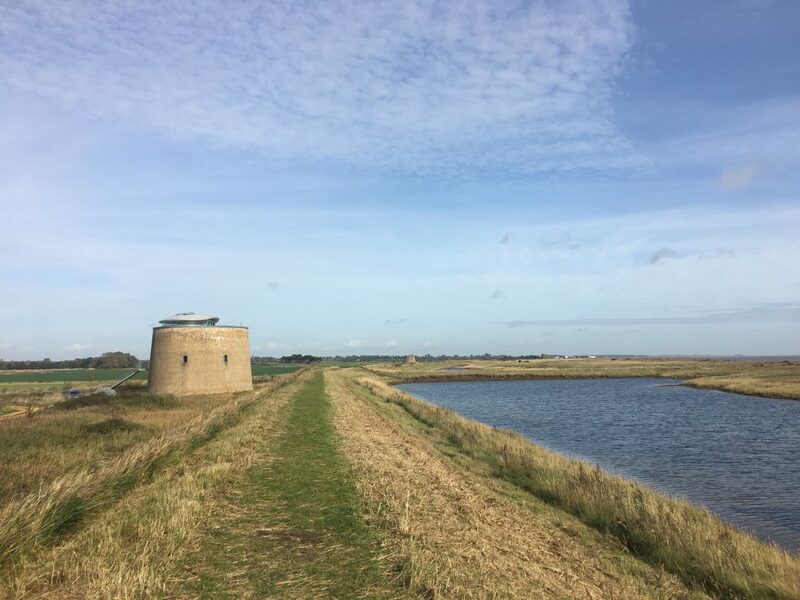 Along the way we saw remains of pillboxes, some falling into the sea, and four impressive Martello Towers – cylindrical forts built to help defend us from Napoleon’s forces. Some of these had been converted to private houses with additional glass roofed structures to provide views out to sea. 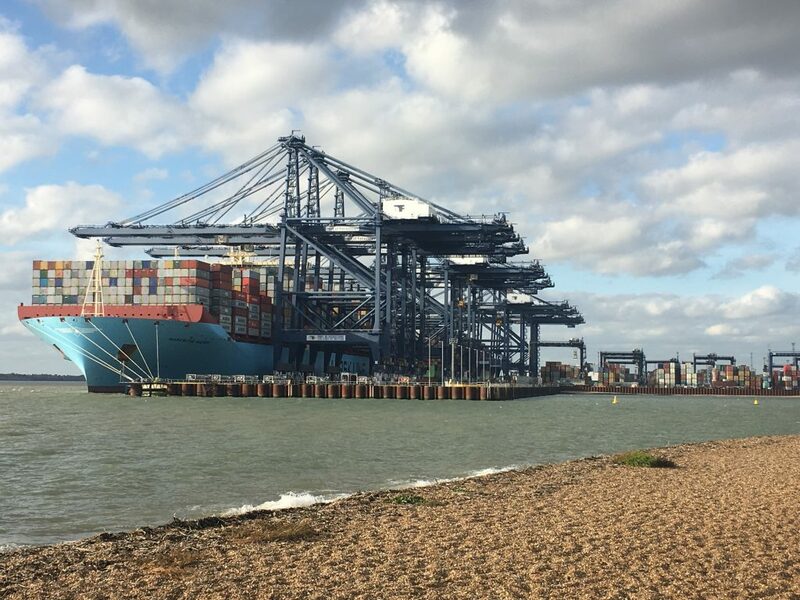 That evening we moved on to parking at Felixstowe where we watched with awe as the massive container ships were loaded up with their containers using equally massive cranes. The industrial sound of the loading, with the distant thunder ‘boom’ of each container being settled onto the ship soothed us to sleep, with only the sound of the ship’s horn waking us up as finally it was loaded and could set off to sea.